Israel is a young country with a very vivid culture and an ever present history of great interest to scholars worldwide. In addition Israel has one of the most highly regarded higher education systems worldwide with universities within the top 200 ranking universities today. Due to a shortage of university places in regards to the number of potential students, there are a number of alternatives to the public universities. Around thirty foreign universities run local campuses in Israel. In addition private universities have been growing in importance. In most cases instruction is in Hebrew, but certain programs are available for English speaking students. Most programs offered at these institutions are in Hebrew and require a relatively high level of proficiency in Hebrew for acceptance. 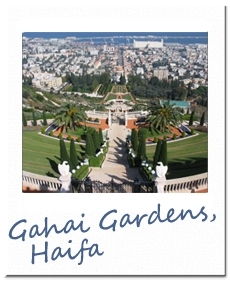 They also offer a preparatory course in Hebrew (ulpan) which is a requirement for most foreign students. The second group of educational institutions is that of the Regional Colleges. These are affiliated with a public university and offer undergraduate education. They used to offer only the first two years of certain educational programs where the last year would have to be completed at the parent university. Today however, some of these colleges have been licensed to offer complete bachelor programs in certain areas. Foreign universities are the fourth group making higher education available in Israel. There are thirty active campuses run by universities around the world - many of them leading universities in the world rankings. Education programs are available to both Israeli students and students from abroad. These universities often offer programs run in English making an education in Israel possible also for students who do not master Hebrew. The degree structure in Israel is much like the international standard set within the European Union, based on the Anglosaxon systems in the UK and the United States. An undergraduate education generally results in a Bachelor degree. Postgraduate education is split into master degrees and the option of doing a further doctorate or PhD in a specialist area. Bachelor degrees are generally three years in length at university and four years from a college. International students are often required to study an extra preparatory year before being admitted to a full program. This is in part to prepare students for studying in Hebrew. A major difference between Israeli higher education and that of the UK or USA is that a bachelor degree in Israel is often specialized and students study two majors exclusively. Educational programs, which prepare students for a certain vocation do not require the completion of a bachelor degree first, as in the United States. Instead, specialized education such as medicine or law starts directly; programs generally lasting longer than a normal Bachelor degree and teaches this one area of study exclusively. A master degree in Israel lasts two years. Many degrees are available in two forms - with or without the requirement of a master thesis. Programs with the master thesis requirement are aimed at students wishing to continue on into a doctorate or PhD degree course. For those not aiming to continue on to doctorate level, the remaining credits are usually filled with additional courses and aimed at career development. Doctoraate degrees in Israel are much the same as in the rest of the world. They are the highest level of academic achievement. These degrees focus on a scientific thesis/dissertation that must qualify as an original and significant contribution to the advancement of knowledge. Entrance requirements for higher education in Israel varies with the level of study you are interested in. What most programs have in common however, is the language requirement of a good fluency in Hebrew. What exact level is required is determined by each individual university or college. Programs and courses held in English will have specific English language requirements, generally expressed as a TOEFL test score or an equivalent. In general you must have a sufficient command of Hebrew to participate in regular studies. To ensure the Hebrew proficiency, some universities make it mandatory for international student so participate in an intensive Hebrew language course (Ulpan) prior to the start of their regular studies. For students who have no prior knowledge of Hebrew, this course will not be enough to reach a sufficiently high standard in Hebrew. 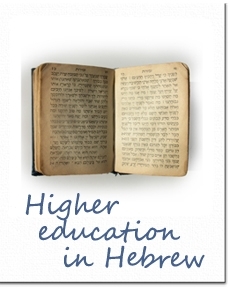 There are plenty of programs to help students with their Hebrew skills. In order to qualify for entry into a Bachelor degree at an Israeli university or college you will need to hold a high school diploma equivalent to the Israeli Bagrut. For those whose diploma is not deemed equivalent, it is in general acceptable to have completed one year at a foreign university. Alternatively you may enter a pre-academic preparatory program in Israel, which will gain you the qualifications that you need. In most cases you will also be required to sit a psychometric entrance examination. This will be the National Institute of Testing and Evaluation (NITE) Psychometric Entrance Test or the US Scholastic Aptitute or Assessment Test - SAT. Some institutions may have additional requirements such as personal interviews or additional tests. The Psychometric Entrance Test is administered in several different languages and is offered in locations around the world. The test can be taken an unlimited number of times at least 10 months apart. Results are valid for a period of five years. Some programs also require an Israeli citizenship - these are generally medicine, dental medicine, veterinary medicine, physical therapy and speech therapy. These are all courses with very high admission requirements. Entrance requirements to master degree courses are often a good (B) average in a related undergraduate degree. Some programs require better grades and in some cases a GRE or GMAT test and personal interviews are also required. As undergraduate degree courses in Israel are very specialized, foreign degree holders may need to take supplementary courses in addition to the standard program. For Doctorate programs students are required to hold an appropriate master degree with a very good thesis and a good grade average. Exact requirements are set by each individual school and program. In some cases, universities offer Direct Doctoral Programs aimed at exceptional undergraduate students with excellent grades. The first year is then an accelerated masters program. 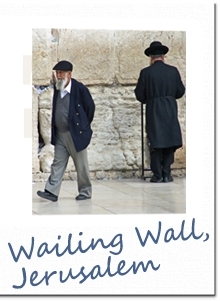 Most nationalities do not require a visa for visits to Israel that are shorter than 3 months. Some exceptions exist - please check with your nearest consulate for more information. Students intending to stay for longer than three months require a student visa. The visa you are issued through your local consulate will last for one year. 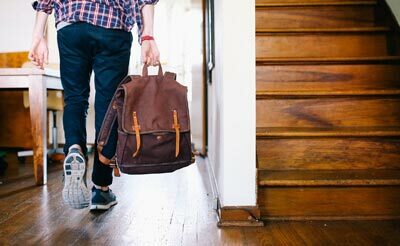 If you are intending to stay longer or return after this period, you will need to have a new student visa issued in Israel. All entrants into Israel require a passport valid for at least 6 months after entry. You will also need a return ticket available to show at customs. Bank statement proving that you have sufficient funds to support yourself during your stay in Israel. Legal reentry documents to your home country/country of residence. Minors under 18 years of age must present a notarized letter from parents/legal guardians allowing them to travel. Bring the original along with a copy. Processing fees - There is a non refundable administrative processing fee of approximately 25 Euro. An additional mailing charge may apply. All fees paid in cash or by money order. Processing time: approximately 2 weeks. Public universities are funded to 70% by the government. Only 20% of their funding is dependent on tuition fees, which keeps down costs considerably. Tuition fee policy for public universities has changed regularly over the past few years. In general fees for public universities are far lower than in many other places. Private institutions however are far more expensive as they are largely dependent on students' tuition. Costs vary between schools. An example: for the academic year 2009/2010 tuition fees for a full year of undergraduate studies at the Hebrew University of Jerusalem are USD 12,000. Housing for the same period is said to cost USD 4,715. In addition you will be required to attend an Ulpan - Hebrew course, which costs 1,705 for the Summer session plus living expenses for housing etc. 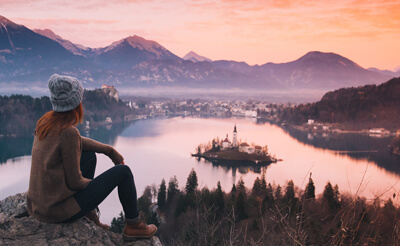 Most universities have a help office for study abroad students that will help you with everything from visa applications to finding housing. In some places the universities have a limited number of student housing facilities on and off campus. In other cases you may be required to find private accommodation. Costs will vary depending on location and standard which is why we do not publish an exact figure.